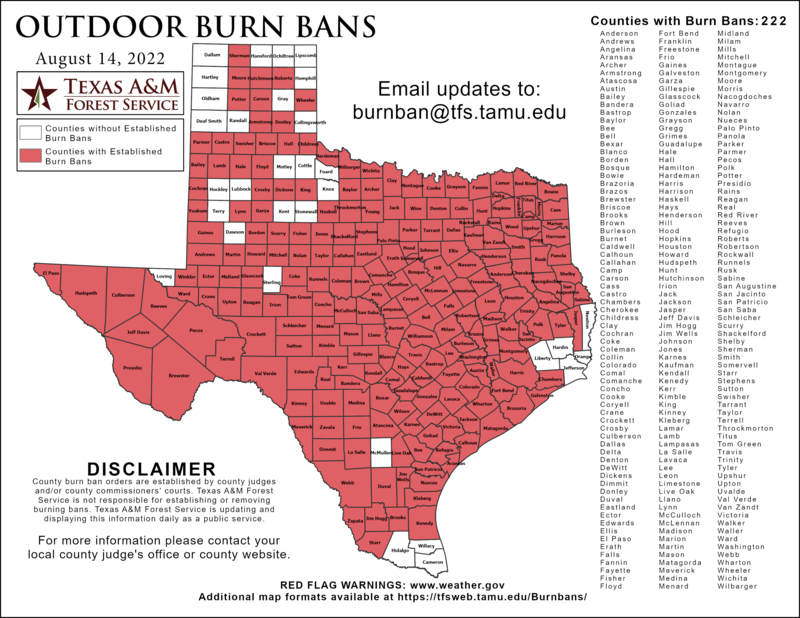 Click the image below to view detailed information on Texas burn bans. - The History of Eagle Creek V.E.S. Eagle Creek Volunteer Emergency Services (ECVES) is a 501 (3) (c) not for profit corporation serving the western area of Wilson County, Texas. The corporation was initially established as Eagle Creek Volunteer Fire Department on October 30th, 1993, but organized and started serving the community in November 1992. Thank you for your interest in Eagle Creek Volunteer Emergency Services. If you are interested in being a volunteer (firefighter, EMT-B, EMT-I, or Paramedic) please send an email to our recruiters. Learn about the apparatus and vehicles that the department uses to service the community.